Taber Time! : A very short Friday post! Happy Friday everyone! Yes, this is being posted Thursday night but I refuse to wake up earlier than necessary to post. I don't think I have gotten around to tell you all how much I LOATHE mornings. I would honestly rather do just about anything than wake up before 9 am. I bet that I will get used to it once I get a job that starts that early BUT for now I am still in utter hatred. I hope when I have kids they will at least sleep until 8 am. I cannot do a 6:00 wakeup call. I apologize in advance this post is really not planned out well, and so it is basically a random collection of stuff on my mind this week. Before that, I REALLY wanted to procrastinate doing this, but ok I am on board. Follow my blog with Bloglovin Here you go! 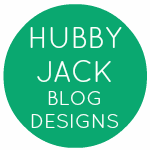 You can also follow on the new "Follow on BlogLovin" button I added to the page. I need y'all to go follow me on here! If you don't now, you will want to when we do our giveaway next week! It's going to be huge! I normally always love weekends but I will admit I am being a sourpuss because my husband isn't home. I enjoyed a little alone time but I am over it at this point. We haven't even reached a full day yet. I really don't even know if this weekend will be one worthy of it's own update, because I tend to be boring by myself and I am trying to make some $$ working Friday, Sunday, and Monday. I will probably throw in some fun too. Maybe I will vlog for you with my free time. Do you have any silly questions for me? I would like to do a short Q&A for you, nothing is off limits! Please ask away. I am still OBSESSED with the 20/20 experience Justin Timberlake CD. That is some good gym music for reals. Listen to Dress On. Your welcome. Very classic JT song. In other news, I made This recipe this week, with a few adjustments to make it more "skinny" and it was a huge hit. OMG so yummy. When it is my night to cook, I am a big fan of pasta because it is easy. Besides that, nothing much is happening here. I am hitting up some running, and my husband took me on a date last night before he left. I could hardly walk out after eating most of a burger. Worth it though. Now I am catching up on my silly reality shows (I may have watched Kardashians, fashion star, and carrie diaries since my husband isn't here. Yes I am 15 and kind of like carrie diaries) and my husband is probably regretting leaving me alone with all the champagne. Just kidding. I am waking up at 7 every day and have 12 miles to do this weekend! Happy Friday short and sweet post for you! See ya Monday! Send me your questions! Don't forget to follow me on BlogLovin!